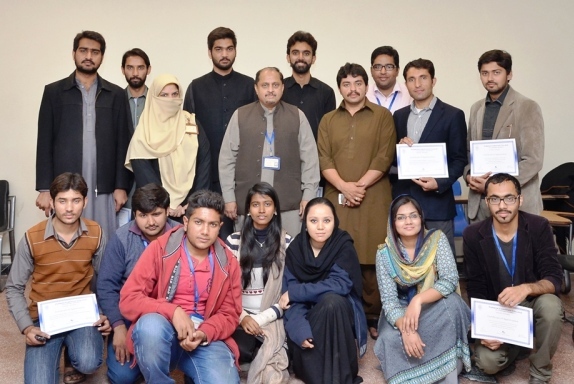 On 6 December 2014, the Islamic Society arranged a certificate distribution ceremony. Head of Department Dr Atiq-ur-Rehman and Advisor Dr Farhat Aziz were present on the occasion. Dr Ateeq, former society president Khawar Wattoo, and former vice president Shahid Ali Naeem spoke and shared their experiences.